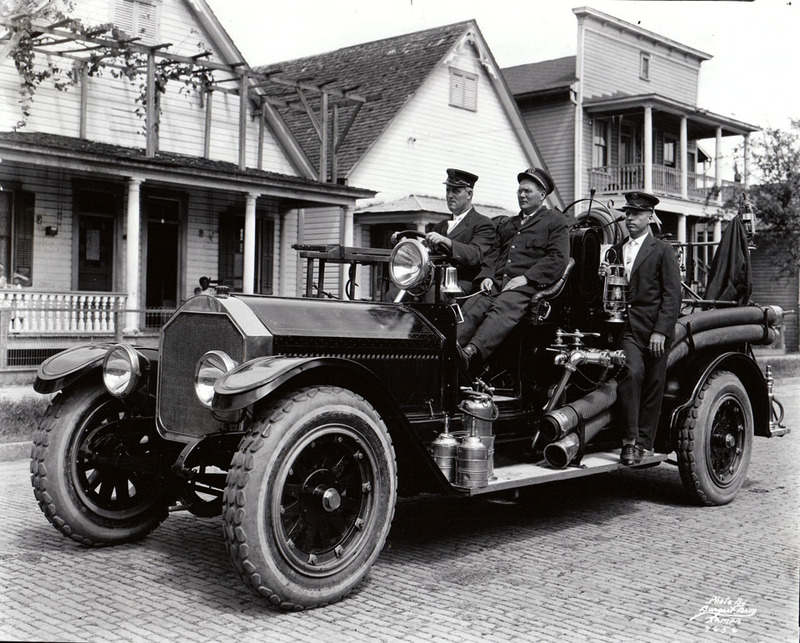 Firemen on a Tampa Fire Department pumper truck driving by three wooden houses. As a retired F/F myself, I have to admire the fact that they wore coat and tie while on duty. Usually reserved for administrative personnel on daily basis in my day, coat excluded. However, culture has dramatically changed from the early 1900’s to now.